Today is officially the first day of autumn and what better day to be than a S U N D A Y! I got back and had the nicest most chilled out day. I’ve had my fairy lights on all morning (you can see how I decorated my lounge for autumn – here) and just had a super chilled Sunday planning future content/autumn content for you guys. One thing I am looking forward to this autumn is actually venturing out. We have been saving up and pretty much stayed in all of the summer and when it gets colder outside that’s when we really venture out. 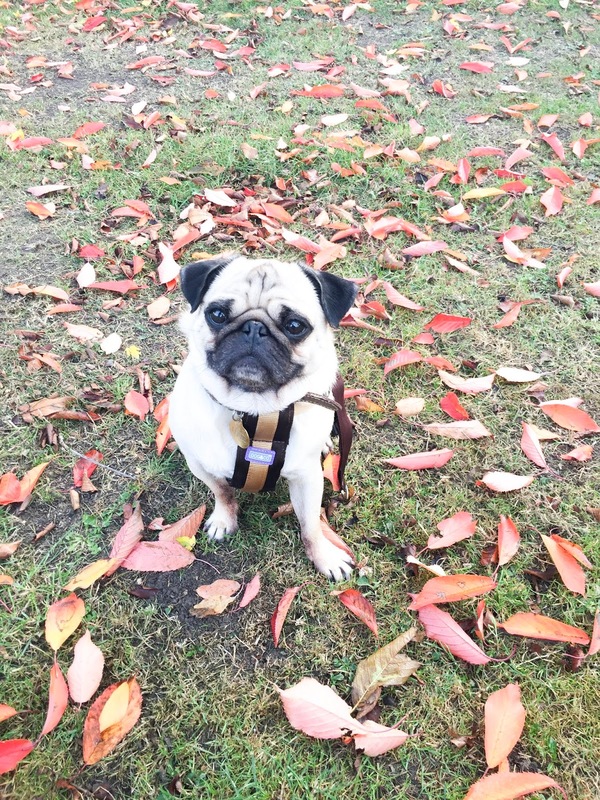 me, my boyfriend and pug Louie are definitely winter lovers we love the cold weather and I love going out in the rain I find it sooooo relaxing. We are going to Comicon which we do every year and I love it we get to look around for cool Harry Potter and Disney collectables for our little game room it’s always such a cool day. I am also getting a new MacBook. I currently use my boyfriends MacBook but it is pretty old now and getting super slow, I did try to import videos and it honestly took a day! So I am super excited for that to come. I also really really really want to visit a pumpkin patch, for all the photos and of course to buy some cute baby pumpkins and big boys too carve too. What do you have planned this autumn? I would like to get your opinion on something before I sign off. I have had a few ideas and a couple of people are encouraging me to do my own Youtube channel. I was thinking of featuring some videos on here, lookbooks, clothing hauls, that kind of thing, with the odd beauty looks thrown in too. Let me know what you’d like me to feature maybe a Q&A to get things started for a video? I’d love you to send me questions..maybe autumn related ones? Anyway, I hope your all ready for autumn and you love it as much as I do! I am soooo excited for all the pumpkin picking, shopping trips, food markets all of it I am fully ready for! Have a good Sunday and now we can really get ready for Halloween, Christmas and all the best times! yayyyy!